Like many people, I have a difficult time accepting compliments or expressions of gratitude. I’m a recovering perfectionist, so it’s rare (though increasingly less so — hooray!) that I think anything I’ve done is good enough to merit a compliment. 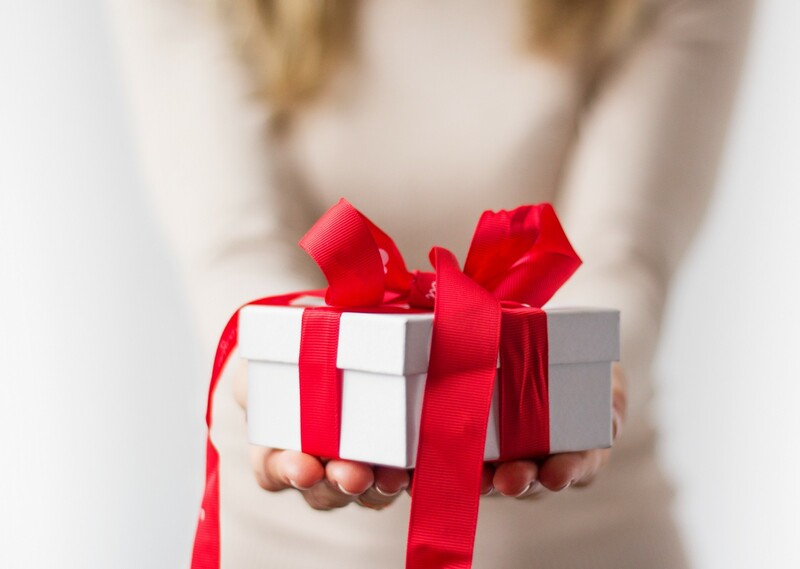 And, on top of that, I am a “giver.” I LOVE to give gifts, to give compliments, and to freely and perhaps even excessively express my gratitude for others. It feels SO good to make other people feel good, and it always has. Being a giver is part of my identity — giving to others gives me purpose… fulfillment. I can’t possibly be that great. Or, that wasn’t a big deal. Or, oh my gosh, what if I used to be really great and now I’m just utterly failing at life? How do I respond??! I mean really… I’m not that great or special. The way I see it, by not expressing your gratitude for those words (you know, by saying YOU’RE WELCOME when someone thanks you or saying THANK YOU when someone offers a compliment), you never really received them. I find this all a little funny because, again, I have no problem showering people in compliments or expressing my gratitude — that feels good! I love love love to let people know how important they are and that they are beautiful, smart, kind, wonderful, etc. Receiving those things though? Damn. It’s hard. The struggle to not diminish a single piece of the lovely gift of gratitude or a compliment that has been given to you is so REAL. I’m still trying to master this one — How I can accept compliments with ease and grace, and how I can balance my giving and receiving? Here is my challenge to you (and to myself) this holiday season. Practice accepting compliments, words of encouragement, expressions of gratitude, positive vibes… I think you get the gist. Start with just saying: “thank you” or “you’re welcome” (whichever is appropriate based on the situation). Seriously. You don’t have to say anything else. Start small. When you accept a compliment (thank you) or words of appreciation (you’re welcome) you are giving the a gift of gratitude to yourself AND the other person. How amazing is that?? These simple responses signify that you hear and acknowledge their words, and that allows the gratitude to flow into your heart and their’s. Think of compliments as little confidence building soul vitamins. You are worthy of praise, my friend. Compliments and/or expressions of gratitude are not necessarily something we are used to (or comfortable) receiving. Maybe, like me, your identity has always been more of a “giver” than a “receiver,” and compliments or gratitude make you uncomfortable. Maybe you too are a recovering perfectionist and you don’t feel like you’ve “earned” the compliments or gratitude.